Dr. Steve Veteto has written lessons for the SBC Advanced Bible Study and has contributed to the New Holman Bible Dictionary. He has been active in local Baptist churches and associations in Texas, Indiana, Tennessee, Louisiana, and Colorado, and has served in local and international missions. He taught as an adjunct professor at New Orleans and Mid-America Baptist Theological Seminaries and currently at Colorado Christian University. Steve currently is professor of New Testament studies and director of the Rocky Mountain Campus at Gateway Seminary. 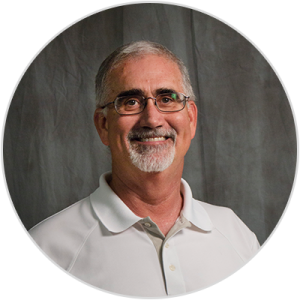 Before joining Gateway, Steve was the pastor of CrossPoint Baptist Church of Baton Rouge, LA. He came to the Rocky Mountain Campus in the summer of 2001 and brings experience in the church planting field and also the business community. He served as interim pastor in seven churches since returning to Colorado and also on the Board of the Ethics & Religious Liberty Commission of the SBC. He and his wife, Cris, have four children - Stephen, Nicholas, Philip, and Hannah. As a native of Colorado, Steve and his family have come home. He enjoys reading, hiking 14ers, fly fishing, and competing in triathlons.